Fundraiser for Lakeesha Lynch by Ellen DeGeneres : Help South Greenville Elementary! 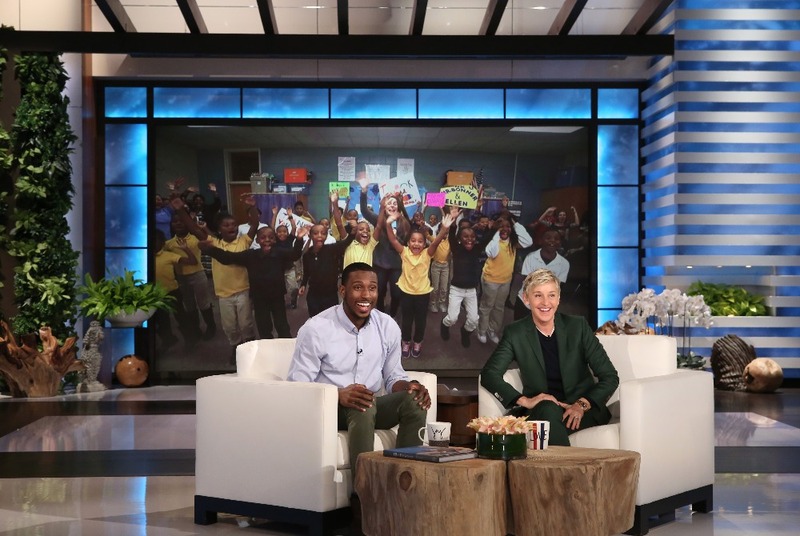 Ellen is encouraging all her fans and viewers to help support her latest amazing guests, second grade teacher Michael Bonner and his students at South Greenville Elementary! South Greenville is a Title I elementary school in Greenville, NC, based in a neighborhood with a 100% poverty rate. 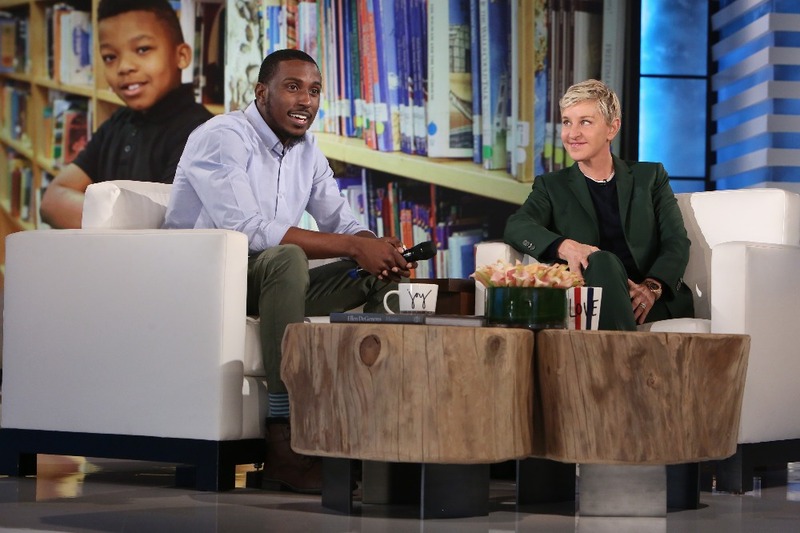 Despite the circumstances, the students are resilient in their pursuit of education, and led by amazing teachers like Mr Bonner, featured on the Ellen Show today! Mr Bonner explained that the school is in dire need of funding and materials, as many of the students are homeless and have very difficult home lives. Through unique and fun lesson plans and activities (like educational rap videos! ), he has found ways to reach his students and make a difference. The school is on a tight budget however, and many teachers like Mr Bonner reach into their own pockets to provide kids with school supplies, clothing and meals. Any and all donations will help this school reach its full potential! 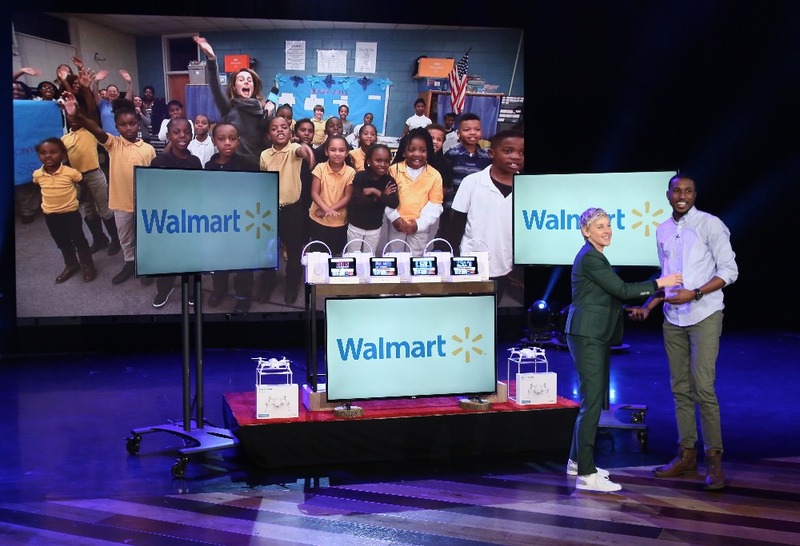 Join the Ellen DeGeneres Show and Walmart in giving back to this deserving teacher and school! Please Ellen - fund a breakfast program - ending the hunger pains will help these children and the teachers more than anything else. So excited that a teacher in my hometown was honored. Thank you Mr. Bonner for your selfless service. What an amazing man. Thank you Mr. Bonner for making a difference in so many lives. Teachers deserve so much more recognition and benefits than they receive. You are a wonderful example of a young man in America. Can't say thank you enough. this IS what gofundme should be for. I wish I could donate, but that teacher is a blessing to those children..Way to go.. I am excited and overwhelmed with emotion to see such a positive young black man inspiring the lives of others and bettering his community! What an amazing teacher, man and role model Mr. Bonner is! Kudos to you sir, you are part of the new American dream! Thank you Ellen and my employer Walmart...They get a lot of grief but they hand out a lot of money to worthwhile causes. Mr. Bonner spoke several times about the children being hungry. What can be done to change that? Just because a family is without money should not keep them from having food. It is very hard to learn when the brain is without nutrients. I agree with Melanie Wight. If our tax money isn't fulfilling that, then somehow we as a society has to make it happen. Mr. Bonner is a SUPERHERO, as are all teachers! Keep doing what you are doing Mr. Bonner! Those beautiful kids are our future here in America! Thanks Ellen for introducing Mr. Bonner and his beautiful kids to us! Sir, you are an amazing and inspiring teacher and human being. Your story has caused me to evaluate whether I can be a better example to my children and their friends. Mr. Bonner I am so proud of you! Keep leading by example you are a shining light where it is dark for these kids. God bless you. I really hope a good chunk is used to help feed the kids so that their brains can get the power that they need. So awesome that guy personally deserves some sort of reward not only the school but what he's doing is so awesome! My name is Tayler. I'm a high school student in the 10th grade and have recently received a letter from Stanford to apply to their High school Summer College program. I have been recently accepted and am very excited about it, but the expenses are well over $15,000. This money goes toward fees such as meal plans, housing, program fees, and tuition. While I have two loving parents who work everyday at my expense and while I work diligently everyday to prove my worth both in and outside of school, this bill is quite a sum of money in which we don't have the funds. I would love to attend this school and would hate to be held back by such material possessions. The money is due fairly soon and help would be greatly appreciated! I' ve dreamed of going to Stanford for as long as I can remember and to be invited at such a young age brings me great honor! I would be forever in the debt of those who donated the smallest of donations! The love I have for my education is more than can be explained and such help with this fee would brighten my world! Such an amazing story, I would love to see updates about this school and the success with the money being raised. Its so refreshing to see so many people want to help fund this school for these children. Im hoping a breakfast program can be set up for these children so they can get proper nutrition. Just another reason why we all love ELLEN,Thank you for doing amazing things to help out others ELLEN!! Mr. Bonner, you sir are an American hero. I thank you for your example. 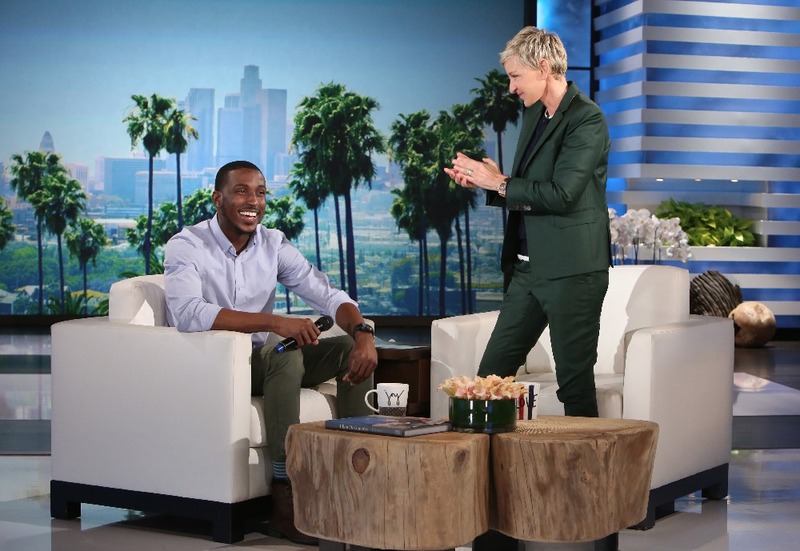 Ellen, I love you so much for sharing his story with me. Thank you. Teachers and schools need to be supported. There is nothing more important than the education of our children. NOTHING. We need positive change for our future generations! God bless these teachers and the children! Amen!